As I type away on my laptop in late January late at night while enjoying a beer shortly after shutting down the woodshop for the night, I'm working on my first Blog entry for 2017. I am going to try something new here. Rather than just posting/ sharing links at random on Social Media, I thought that instead, when I come across interesting items, that I will save them for later and pick out a few things to include in a Blog entry now and then. Whether this turns into a weekly Blog entry or maybe once or twice a month, only time will tell. 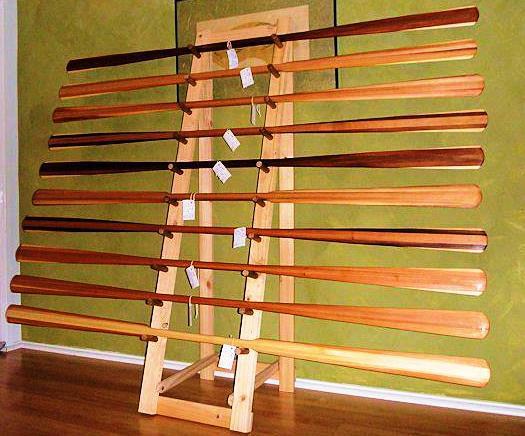 In the Blog entries of course, I will also talk a bit about my paddle building, other woodworking projects and, of course, some outdoors stuff such as kayaking, canoing, cycling etc from my own experiences. Years ago I used to write on a regular basis but as life got busier and busier, that all gradually faded away. So, let's see how this new idea of blogging works out. I will of course still post to Social Media a fair bit as well. And new Blog entries will naturally be posted to Social Media of course. So, here are a few things I'll throw out there for this blog entry. Nice little article on our CBC website on some stuff going on down in my original home province of Nova Scotia. A group of volunteers took on the job of restoring a remote cabin deep in the woods of southwestern Nova Scotia, just a few kilometres from the edge of Kejimkujik National Park. The nearly hundred year old cabin itself is considered a part of Nova Scotia's history. It took a two day canoe trip just to reach the cabin in order to start the needed work. Click the link below for the rest of the article. Mark your calenders for the 9th annual “Great Canadian Kayak Challenge” to be held in Timmins Ontario on August 25th to 27th. Some of the events are a series of races, ranging from a 3 Kilometre Youth Race, right up to the showcase event, the elite 35 Kilometre race. Yeah, that is the one I might be interested in doing. Click the link below for more. Back in December, working on some items in the shop for the local Arts & Crafts Show sales before Christmas, I was running some wood through my trusty old Delta bandsaw when all of a sudden....oh oh...no more bandsaw. Motor was still running but the blade was not moving. I think to myself, well....I can't cut wood with my bandsaw if the blade is not moving. So I shut off the motor, unplug the machine and open it up. Ah...the drive belt has snapped. I already replaced this once several years ago. Also replaced the guides bearings, the pulley bearings and a few other parts. No doubt I've spent more this last 8 years keeping this older saw running than what it would be worth now. Oh, the rubber tires on the wheels really should be replaced too. Thought about things for a long time, maybe 10 minutes, and decided it was time to buy a new bandsaw. Ended up picking up a King Industrial 14 inch bandsaw with a cast iron table and frame as well as a re-saw fence. All good upgrades over my old 10 inch Delta. The new saw has been running great. Picked up some spare blades for it the other day and will soon mount it to a portable base on castors to make it easy to move around in the shop, making it easier to maximize my limited work space. 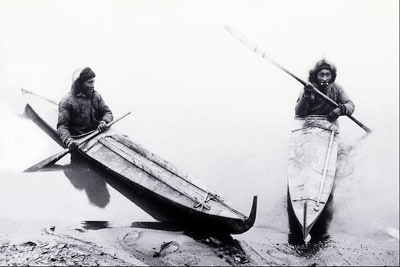 Brief entry from the Canadian Encyclopedia site about the history of kayaks with Canada's Inuit peoples. Click the link below for more. Good little review on a very nice canoe, Clipper's Jensen 18 Stock. This is the most popular canoe used in the Yukon River Quest and is what I paddled when doing the Yukon River from the capital city of Whitehorse down to Dawson City several years ago. Click the link to see the review. And for more information on the Jensen 18, here is a link to the Clipper Canoes website. Shown below, the Jnsen 18 in the base model fiberglass layup. Also available in kevlar, kevlar ultralight and in there “Pro-Boat” racing layup. And this concludes this blog entry. Please feel free to comment directly on this web page and/ or through Social Media links where I will have it posted on Twitter, Facebook etc. I'm also considering a new YouTube Channel in addition to the blog. Let me know what sort of things you might like to see on YouTube?